Ferruh Kethuda Mosque: Ferruh Aga, steward of Grand Vizier Semih Ali Pasha, had this mosque built in 1562. 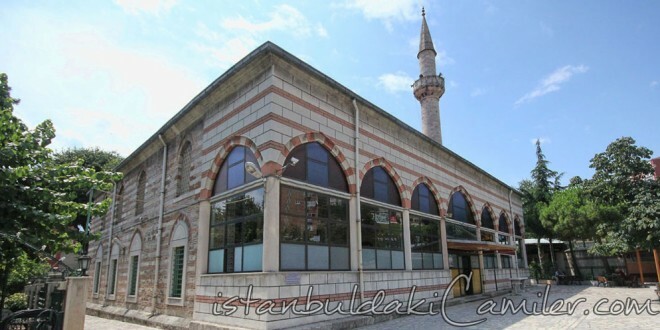 Koca Sinan is the architect of the mosque which was also used as the “tevhidhane” of the dervish lodge. The tevhidhane-mosque was the core of the Kulliye which used to consist of a court house, a fountain, and dervish lodge cells which could not make it until today. Its mihrab was covered with the tiles of the Palace of the Porphyrogenitus (known in Turkish as Tekfur Sarayı) in the first quarter of 18th century. Besides, the upper part of the minaret was renovated in the second half of the 18th century, most probably after the earthquake of 1766. It is understood that the sections including the last congregation section, court house and the cells of the dervish lodge were disappeared in the fire of 1877 Balat Fire, and that the last congregation section was re-built afterwards. This mosque-tevhidhane building was abandoned in 1925 shen the act of congress fort he closure of dervish lodges passed from the parliament. The ruined structure was started to be repaired in 1953 by the Restoration and Protection Association of Ferruh Kethuda Mosque, yet it was not able to be completed due to economic reasons. It was only be able to be completed in 1960 with the support from the General Directorate of the Foundations.